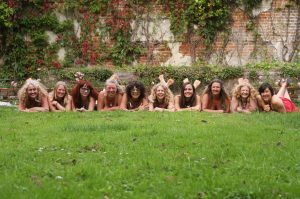 A special photoshoot to celebrate women and their bodies is being held on May 6 at a private estate in North Elmham. The spring Wild Woman shoot is being hosted by SoulShine, the third in its series. It runs 11am-4pm. The event aims to prove that it doesn’t matter what shape or size particicpants are, moments of deep empowerment and true beauty are able to shine. This entry was posted in Home Page and tagged empowerment, girl power, model, photoshoot, women on April 30, 2018 by Gay Webster.